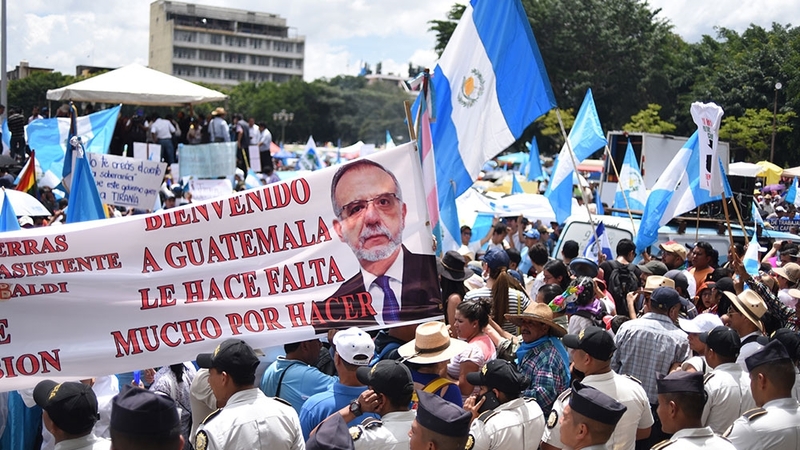 Santa Cruz del Quiche – Thousands took to the streets in several major cities and small towns in Guatemala on Thursday, demanding the resignation of dozens of legislators and officials, including President Jimmy Morales. The protests were prompted by Morales’s decision last month to not renew the UN-backed International Commission Against Impunity’s (CICIG) mandate, which is set to expire in September 2019. He also barred CICIG’s head commissioner from re-entering Guatemala. 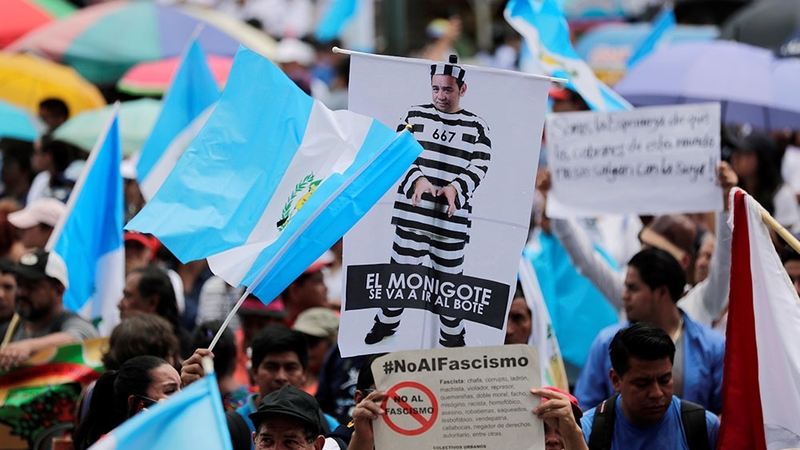 “We’re tired of so much corruption,” Luz Emilia Ulario told Al Jazeera, who marched with about 1,000 others in Santa Cruz del Quiche, 129km northwest of Guatemala City. Elected in 2015, President Morales initially supported of CICIG, but soon became the subject of investigations into illegal campaign financing. He has denied wrongdoing. Morales’s party and relatives have also come under fire for alleged corruption. Morales’s decision to end the work of CICIG and ban Velasquez from the country set off a flurry of protests and legal challenges. Last week, the Constitutional Court issued an injunction against the ban of Velasquez, ordering Morales to permit the commissioner back into the country. Thursday’s protests were organised in small towns, as well urban centres, including in Quetzaltenango, Guatemala’s second largest city where civic groups organised marches through the city. Parts of the largely indigenous highland department of Quiche were shut down due to Thursday’s actions. “The people of Guatemala are demanding that Morales submits himself to the law and that he not end CICIG’s presence in the country,” Miguel de Leon, the indigenous mayor of Nebaj, Quiche and member of the traditional Ixil Maya Ancestral Authorities, told Al Jazeera. AEU president Lenina Garcia told Al Jazeera that the support of the USAC governing council is an important development, as is the unity among students, workers and faculty across universities in the face of the president’s refusal to respect the Constitutional Court ruling and UN agreement. “We think we’re already experiencing a coup d’etat,” she said, from Guatemala City. Thursday’s national day of protest is in preparation for a nationwide shutdown, Garcia added.